Mr. Wang has been appointed as an Executive Director and the Chairman of the Board on 13 March 2019. He is currently serving as a vice chairman and a non-independent director of Jiangsu Hagong Intelligent Robot Co., Ltd.（江蘇哈工智能機器人股份有限公司）(“HGZN”) (stock code: 000584.SZ), an artificial intelligence equipment manufacturing company listed on the Shenzhen Stock Exchange in the People’s Republic of China (the “PRC”). He is concurrently serving as the chairman of the HIT Robot Group（哈工大機器人集團）(“HRG”), an enterprise jointly set up by Heilongjiang provincial government, the municipal government of Harbin and Harbin Institute of Technology engaging in the design, development, manufacturing and sales of robots. Mr. Wang is a member of the 13th Heilongjiang Provincial People’s Congress（黑龍江省第十三屆人民代表大會）. Mr. Wang has extensive experience in the mechanical and electronic engineering industry. He obtained a bachelor degree of mechanical engineering, mechanical design manufacturing and its automation in 2003, a master degree in 2006 and a doctoral degree in 2008, both majoring in mechanical and electronic engineering from Harbin Institute of Technology (“HIT”)（哈爾濱工業大學）. His achievement in the industry was widely recognised and was awarded the Ninth China Youth Entrepreneurship Award（第九屆中國青年創業獎）in 2017, the 12th Heilongjiang Model Worker Award（黑龍江省第十二屆勞動模範）in 2017 and the National Innovation Award（全國創新爭先獎）in 2017, respectively. Mr. Liang has been appointed as an Executive Director, the Vice Chairman of the Board and the Chief Executive Officer of the Company (“CEO”) on 13 March 2019. He is the senior vice president of HRG and is in charge of the sales and marketing businesses. Mr. Liang has over 16 years of experience in marketing, investment, finance and management sectors. He was an executive Director of Asia Investment Finance Group Limited (stock code: 33), a company listed on the Main Board of the Stock Exchange from 28 November 2018 to 18 December 2018. Mr. Liang obtained a bachelor degree of mechanical design manufacturing and its automation from HIT in 2003 and a master degree in business administration from Tongji University（同濟大學）in the PRC in 2010. Mr. Yu has been appointed as an Executive Director and the Vice Chairman of the Board on 13 March 2019. He is the senior vice president of HRG and focuses on the research and development of robots and artificial intelligence equipment. Mr. Yu obtained a doctoral degree in mechanical and electronic engineering from HIT in 2011. He was awarded the Science and Technology Progress Award（中國商業聯合會科技進步獎）from the China General Chamber of Commerce in 2017, the Innovation Award（中國產學研合作創新獎）from the China Industry-University-Research Institute Collaboration Association in 2017, and 合肥市創新領軍人才稱號 in 2018, respectively. Mr. Cai has been appointed as an Executive Director in June 2017. He was the CEO from 24 June 2017 to 5 October 2017 and from 24 December 2018 to 12 March 2019 respectively. He is also the Chief Strategy Officer (Film Production) of a wholly owned subsidiary of the Company since August 2016. Mr. Cai graduated from a junior college program of International Economics and Trade（國際經濟與貿易）in South China Institute of Software Engineering, Guangzhou University（廣州大學華軟軟件學院）in 2009. He held management positions with various real estate companies and has many years of experience in property development. He is now serving as the deputy general manager of a real estate developer in the PRC. Mr. Lau has been appointed as an Executive Director in January 2014. He is currently a practicing certified public accountant in Hong Kong and a fellow member of the Association of Chartered Certified Accountants in the United Kingdom. Mr. Lau graduated from the University of Hong Kong with a bachelor’s degree in business administration in 1994 and obtained a master’s degree in corporate finance from Hong Kong Polytechnic University in 2007. Mr. Lau is currently the company secretary of BBMG Corporation (stock code: 2009) and an independent non-executive director of Primeview Holdings Limited (stock code: 789), Titan Petrochemicals Group Limited (stock code: 1192), Tenwow International Holdings Limited (stock code: 1219) and HKBridge Financial Holdings Limited (stock code: 2323, formerly known as China HKBridge Holdings Limited), all of above are listed on the Main Board of the Stock Exchange. He was a non-executive director of Alltronics Holdings Limited (stock code: 833) between March 2017 and December 2018. Mr. Siu has been appointed as an Executive Director in January 2014. He was the Chairman of the Board from 24 November 2015 to 12 March 2019. He was the CEO during the period from 10 October 2014 to 19 September 2016. Mr. Siu obtained a Bachelor of Arts (Honours) degree in Accountancy from the Hong Kong Polytechnic University in 2004. He is a member of the Hong Kong Institute of Certified Public Accountants and a member of the Association of Chartered Certified Accountants of the United Kingdom. Mr. Siu has over ten years of experience in auditing, accounting and financial management. He served in various position of local and international accounting firms and securities companies. Mr. Yu has been appointed as an Executive Director in September 2014. Mr. Yu specialises in property investment and trading business in the PRC. After graduating from high-school in 1989, Mr. Yu joined the shipping and trading business in the PRC. He was the general manager of a shipping company before he became a private investor in 2003. In 2011, Mr. Yu joined a marketing and management firm in Shanghai and served as their property investment manager. He is currently an executive director of Central Wealth Group Holdings Limited (stock code: 139), a company listed on the Main Board of the Stock Exchange. Mr. Chen has been appointed as an Independent Non-executive Director on 13 March 2019. He is currently serving as a non-independent director and the vice general manager of HGZN, and is responsible for corporate finance, financial audit, industrial integration and capital operation. He is currently pursuing an EMBA degree at the China Europe International Business School（中歐國際工商學院）. Mr. Siu has been appointed as an Independent Non-executive Director, a member of the Audit Committee and Remuneration Committee of the Board in November 2011. He has also been appointed as a member of the Nomination Committee of the Board in March 2012 and the chairman of the Remuneration Committee in June 2017. Mr. Siu is the sole proprietor of the firm, Messrs. Robert Siu & Co., Solicitors. Mr. Siu holds a bachelor’s degree in laws from the University of London and a postgraduate certificate in laws from The University of Hong Kong. He also holds a Master of Laws from the University of Greenwich, United Kingdom. He has been admitted as a solicitor in Hong Kong since 1992 and has been admitted as a solicitor in England and Wales since 1993. His legal practice is mainly in the field of commercial and corporate finance. 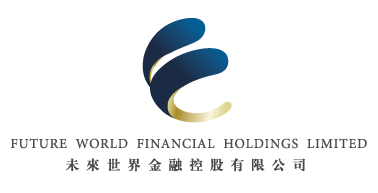 Mr. Siu is currently an independent non-executive director of Kaisun Energy Group Limited (stock code: 8203) and Finet Group Limited (stock code: 8317), both of them are listed on the Growth Enterprise Market of the Stock Exchange. He was also an independent non-executive director of Skyway Securities Group Limited (now known as CMBC Capital Holdings Limited (“CMBC Capital”), stock code: 1141) and a director of MBMI Resources Inc., a company listed on the Toronto Stock Exchange. Mr. Tam has been appointed as an Independent Non-executive Director, a member of the Audit Committee and Remuneration Committee of the Board in November 2011. He has also been appointed as a member of the Nomination Committee of the Board in March 2012, the chairman of the Audit Committee in February 2013 and the chairman of the Nomination Committee in June 2017 respectively. Mr. Tam is a fellow member of The Hong Kong Institute of Certified Public Accountants (HKICPA) and a fellow member of the Association of Chartered Certified Accountants of the United Kingdom. He has been appointed to membership of Disciplinary Panel of the HKICPA for the period from February 2014 to January 2020. He has over 25 years of experience in accounting, corporate finance and corporate development. Mr. Tam is currently an executive director of International Standard Resources Holdings Limited (stock code: 91) and a non-executive director of Kingbo Strike Limited (stock code: 1421), both of them are listed on the Main Board of the Stock Exchange. He was an executive director of Skyway Securities Group Limited (now known as CMBC Capital) and an independent non-executive director of Tech Pro Technology Development Limited (stock code: 3823), both of them are listed on the Main Board of the Stock Exchange. Mr. Zheng has been appointed as an Independent Non-executive Director, a member of the Audit Committee, Nomination Committee and Remuneration Committee of the Board in March 2018. Mr. Zheng graduated from the Shantou Polytechnic（汕頭職業技術學院）, Shantou, the PRC, specialising in Construction Engineering and Project Cost（建築工程和工程造價）. Mr. Zheng has extensive experience in the field of real estate development in the PRC.